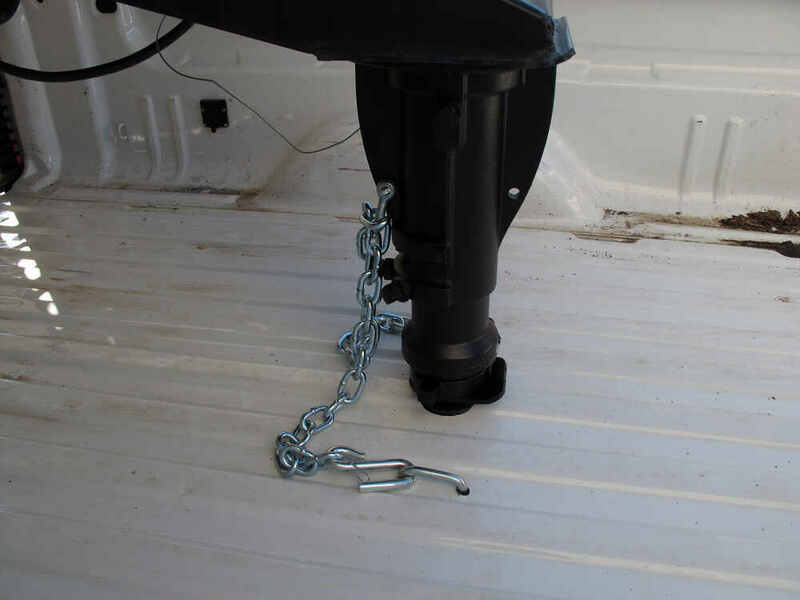 Use your gooseneck hitch to tow your 5th-wheel trailer by hooking up with this adjustable coupler adapter. Poly cushions absorb shock for a smooth ride. Adjustable height fits multiple applications. 20,000-lb GTW. 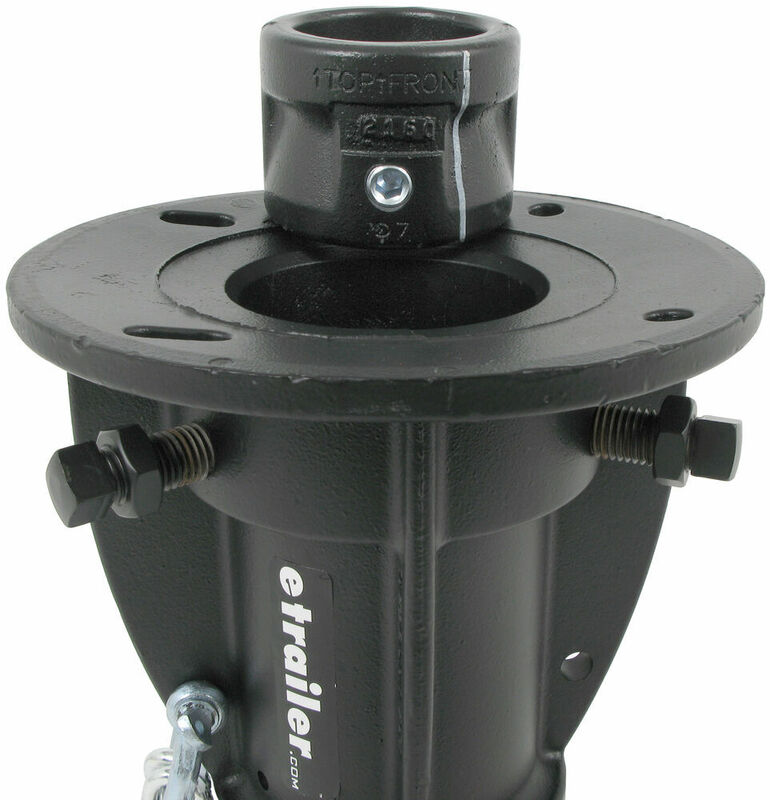 Call 800-298-8924 to order Convert-A-Ball gooseneck and fifth wheel adapters part number CAB-C5G or order online at etrailer.com. Free expert support on all Convert-A-Ball products. 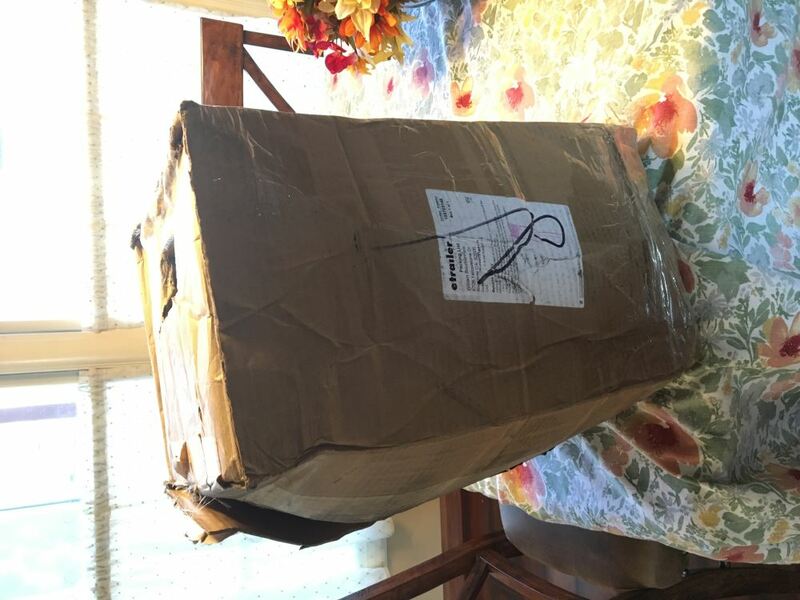 Guaranteed Lowest Price and Fastest Shipping for Convert-A-Ball Cushioned 5th-Wheel-to-Gooseneck Adapter - 12" to 16" Tall - 20,000 lbs. 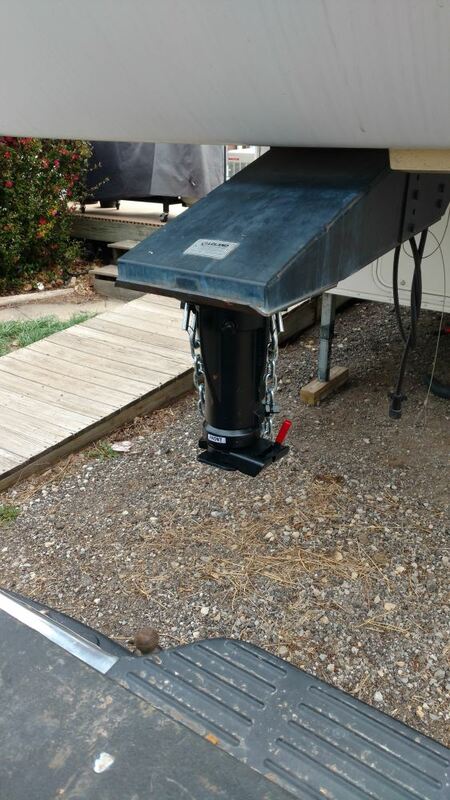 Gooseneck and Fifth Wheel Adapters reviews from real customers. 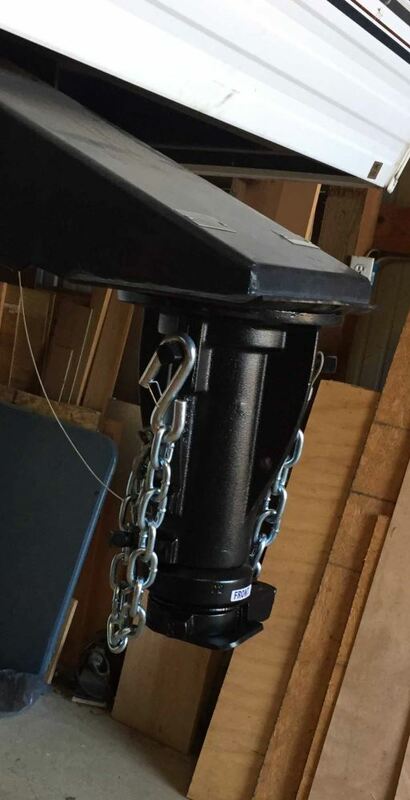 Adjustable height (from top of gooseneck ball to base of king pin box): 12" - 16"
Collapsed height of adapter: 15-1/2"
Note: This adapter is not recommended for use with Reese Elite Series gooseneck trailer hitches. It is also not recommended for use with factory-installed towing prep packages from Ford 2011 to present or Ram 2013 to present. 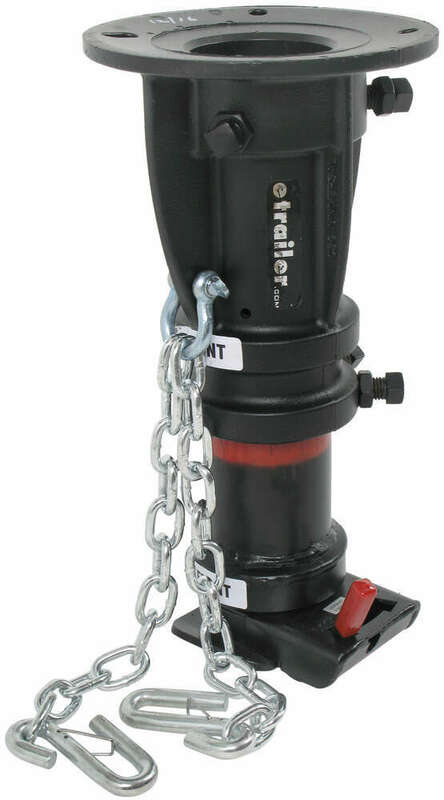 C5G1216 Convert-A-Ball Adjustable Fifth-Wheel-to-Gooseneck Coupler Adapter - 12" to 16"
Pull your gooseneck trailer with a fifth-wheel hitch by installing this round gooseneck-to-king-pin adapter. Inner tube fits most standard, round gooseneck coupler outer tubes. Speaker 1: Today, we're gonna take a look at the convertible cushion fifth wheel to gooseneck adapter. Has a 20,000 pound weight capacity. 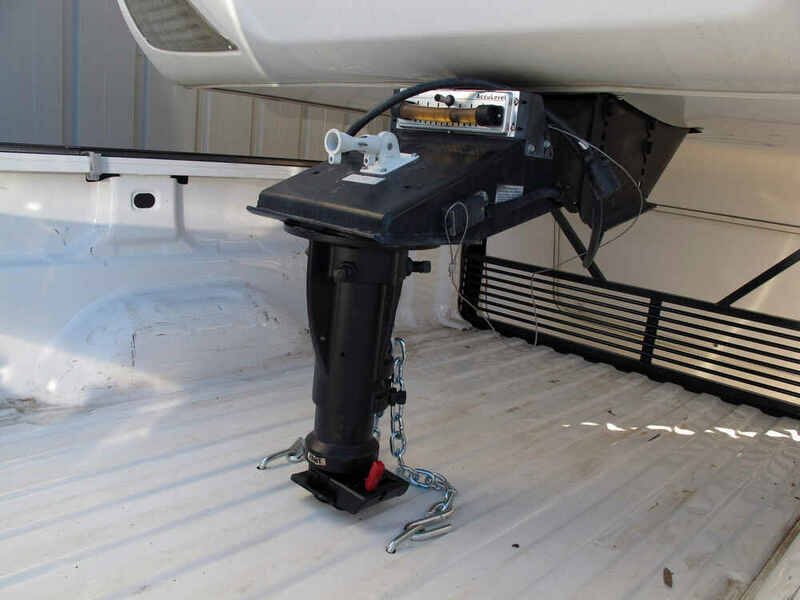 Now this fifth wheel to gooseneck adapter will let you tow your fifth wheel trailer with your gooseneck hitch. Basically, this adapter will bolt to your trailer's kingpin using this locking collar. It'll connect to the gooseball on your tow vehicle. 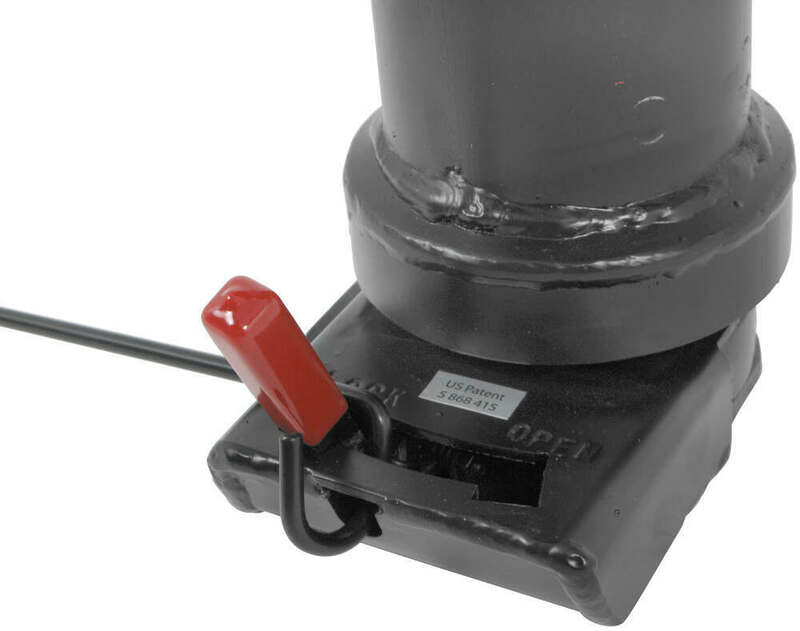 On the inside of this adapter, there's an interior polyurethane cushion to act as a shock absorber for smooth safe ride, helps reduce bounce and vibration and will even minimize wear and tear on both your trailer and your tow vehicle. The adjustable height of this adapter allows you fit multiple applications. If you loosen these adjustment screws right here, this will allow you to raise or lower the adaptor body. Now if you do go too high, you'll notice the red ring there. Now you want to make sure that red ring on there does not show. The red ring showing would indicate the coupler's too low to be safely connected to the adapter body.So if that red ring is showing, let me lift it up again just to show it to you, that red ring is showing, what you'll need to do is lower the trailer jacks until there's no red showing before tightening these adjustment screws and jam nuts. 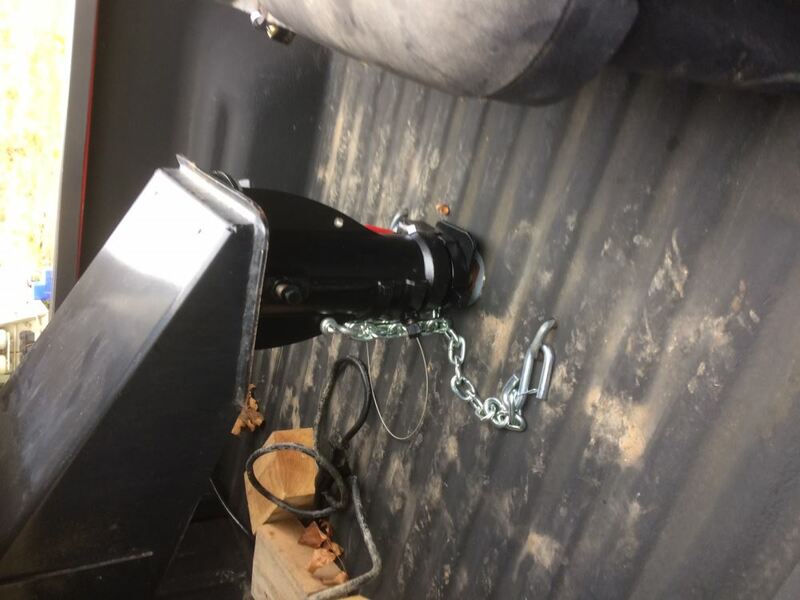 Now this is a fail safe kingpin adapter, has a built in positive lock feature here to secure the trailer to your hitch ball. Right here, it's in the open position to go over the gooseneck ball. When you move it over there, it locks it to the gooseneck ball. What's nice is this comes with the steel extension handle that'll let you operate this lock from outside your truck bed. This handle will be on your driver side, so you can just loop it like that. Then from the outside, just push your handle. Move it to the open position. Move it back to the lock position, very handy, just like that. Also what's nice, put it in the lock position. This extensional handle can be used as a latch, keeping the adapter secure. Basically, there's a hole right here.If you run this loop on the other end through the hole, put it around the handle and then let it stay like that, it'll keep that handle from going into the open position. Also, if you want added security, that hole is large enough that you could put a padlock through there and then give you extra security that way. That padlocks we do sell separately. Now this adapter is a durable cast steel construction, has a nice rust resistant powder coat finish. Comes, as you can see with the safety chains. 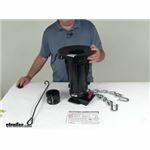 Comes with the locking collar we mentioned, that positive lock extension handle's also included, and a nice set of detailed installation instructions on how to install everything. A few specs on this. The towing capacity is 20,000 pounds. Pin weight capacity is 4,000 pounds. 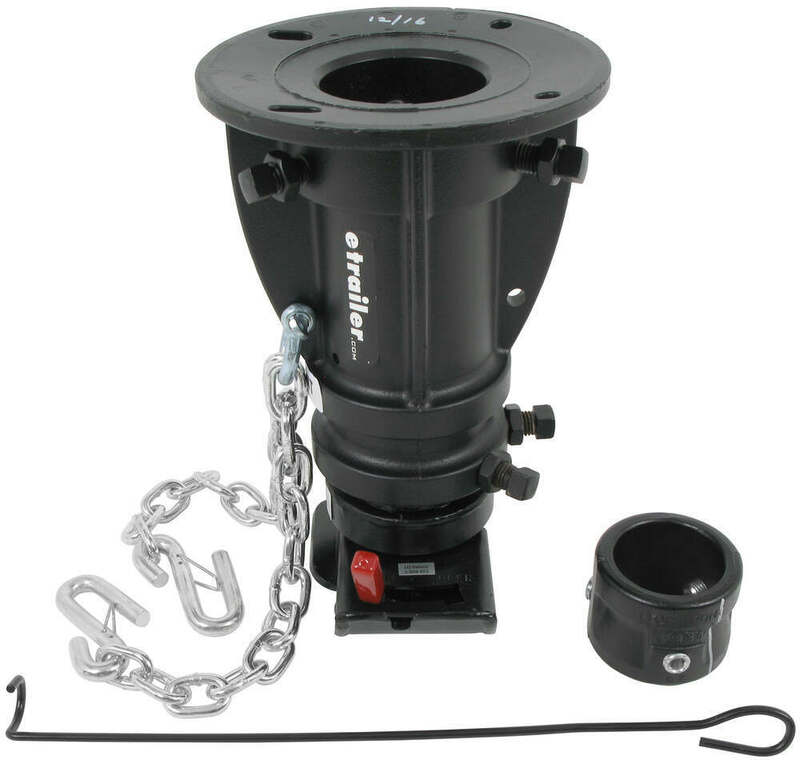 Application, it is designed to fit a standard 2 5/16 diameter gooseneck hitch ball. The adjustable height portion, this part here that we move, this'll go anywhere from 12" to 16". 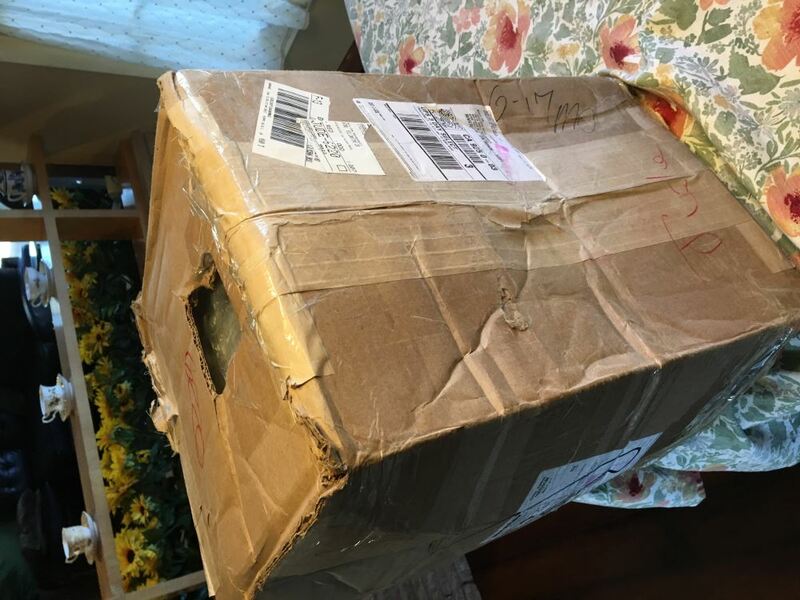 That's measured from the top of the gooseneck ball to the base of the kingpin box.The total height with it full collapsed like this from here to here, got a tape measure's gonna be right at about 15 1/2". Now to install this, just briefly, I just want to show you what you would go through. You'll start with this locking collar right here. This'll go over the kingpin and the glocking collar is marked. Right here, it'll say top, front, and that white line there, what you want to do is line that white line on the collar to the exact center of the front of the kingpin box. Then what you'll do is you'll notice there's three Alan bolts. You unscrew those to open it, slide it up on the kingpin, then tight that down over the kingpin, making sure this is at the center. Then with this on the kingpin, your adapter will go right on into that and then once it gets down there, you'll notice there's three indentations right here. That's where these screws will tighten down into there and hold it into place and then tighten down the jam nuts to secure it. So this will attach to this after this is installed on your kingpin.Then once that's all done, now when you do install this, you want to make sure there's a label here that says front and one here that says front. That front label will face the tow vehicle and make sure your red locking handle's on the driver's side of the tow vehicle in the open position. 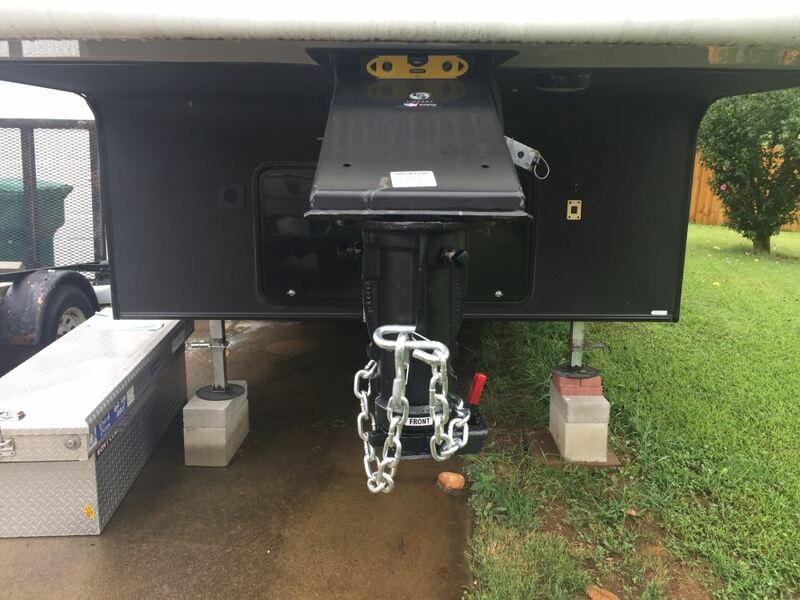 Then it's ready to install, so basically then what you'll do is just raise your trailer with this adapter attached, back your tow vehicle under the trailer, centering the adapter, and then lower the trailer to a leveled towing position. Loosen these adjustment screws and then lower the ball cup over the ball. Then make sure it's all connected properly. Put it in the lock position. When you undo that, you want to make sure as I mentioned before that there's no red showing on the adapter body. Then go ahead and tighten your adjustment screws and jam nuts. You'll be all ready to go. Of course, don't forget to hook up your safety chains. 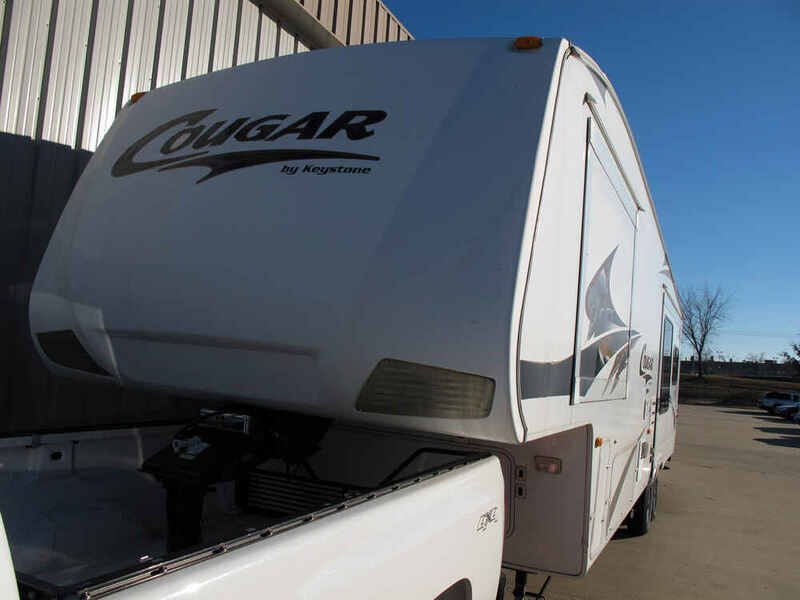 But that should do for the review on the convertible cushion fifth wheel to gooseneck adapter with a 20,000 pound weight capacity. 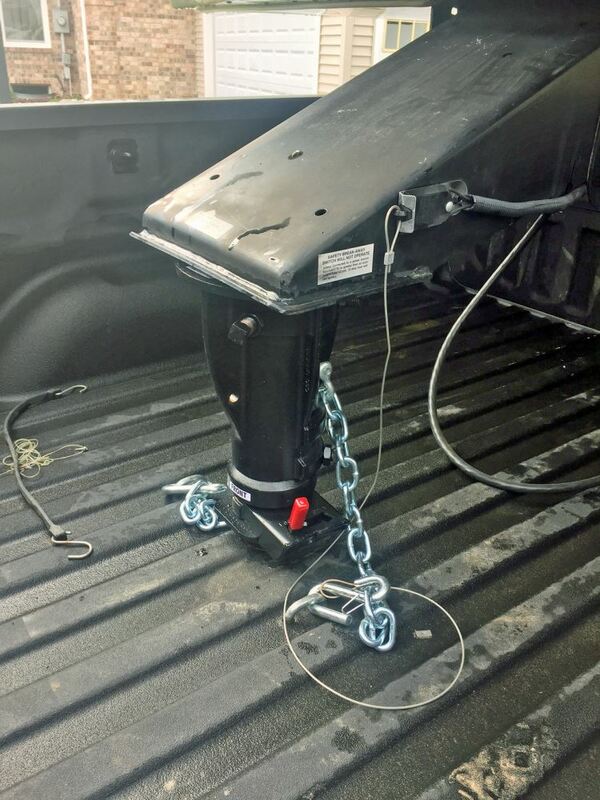 Order: RelevanceNewestRating - High to LowRating - Low to High Use your gooseneck hitch to tow your 5th-wheel trailer by hooking up with this adjustable coupler adapter. Poly cushions absorb shock for a smooth ride. Adjustable height fits multiple applications. 20,000-lb GTW. We have, ironically, had that convert-a-ball on a unit in storage since the only time we moved it! However, the short time we used the convert-a-ball, the only concern we saw was that, due to the air bag king plate, there was rocking motion front to rear. This is not any fault of the convert-a-ball. When we do put the unit on the road if we can get it repaired then we plan to have the king plate air bag deflated and then weld the upper and lower sections together. In this way, there can be no rocking from braking and starting. 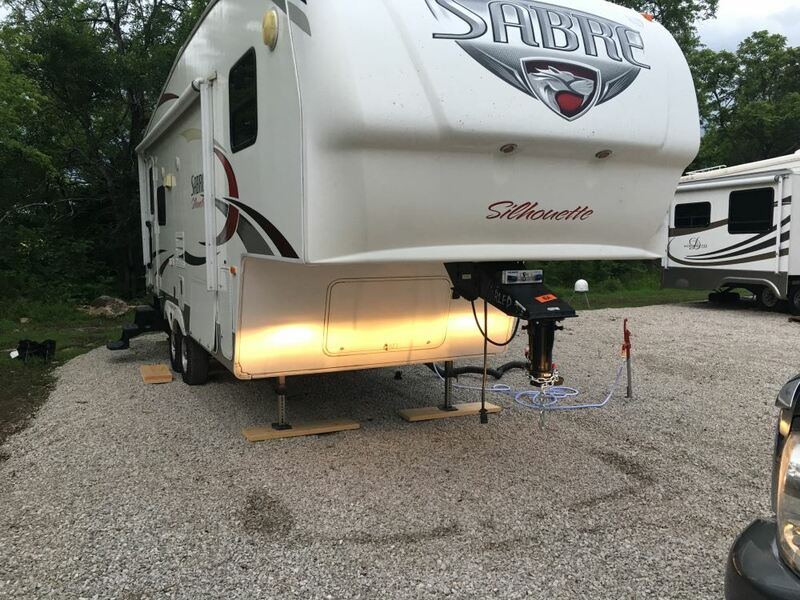 I am still using the goose neck adapter, I now take it off if my camper is parked for a while just to reduce stress on the front end of the 5th wheel. I would recommend! it has worked wonderful for us. 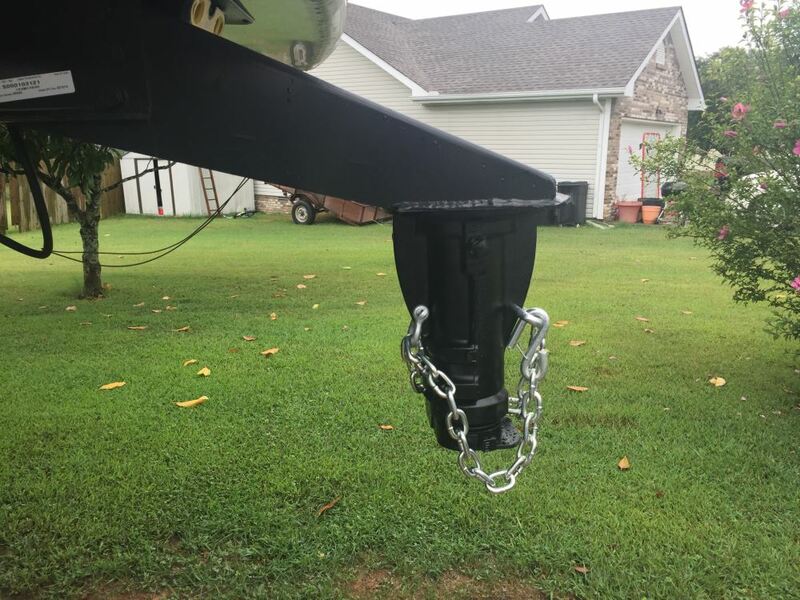 We got a pickup that can now haul both the camper and the boat So the hitch will be a great asset.It was easy to install and fit live a glove.Only downfall was UPS delivered it to our neighbors house and it took both of us to carry it to my house. 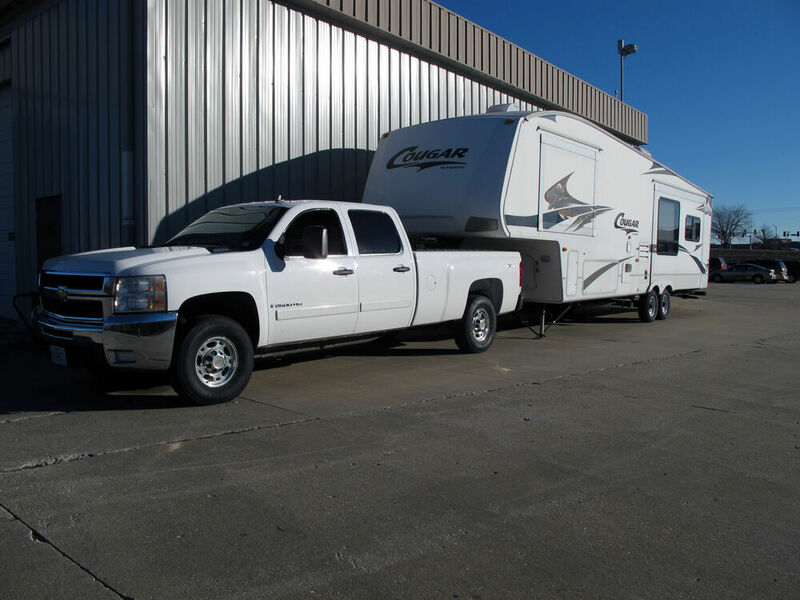 what is distance from rear bumper and lower front of fifth wheel. also it looks like you ,are at a skew with your adapter, is that with all the weight lowered on to the truck. if not how well does it tow like that. 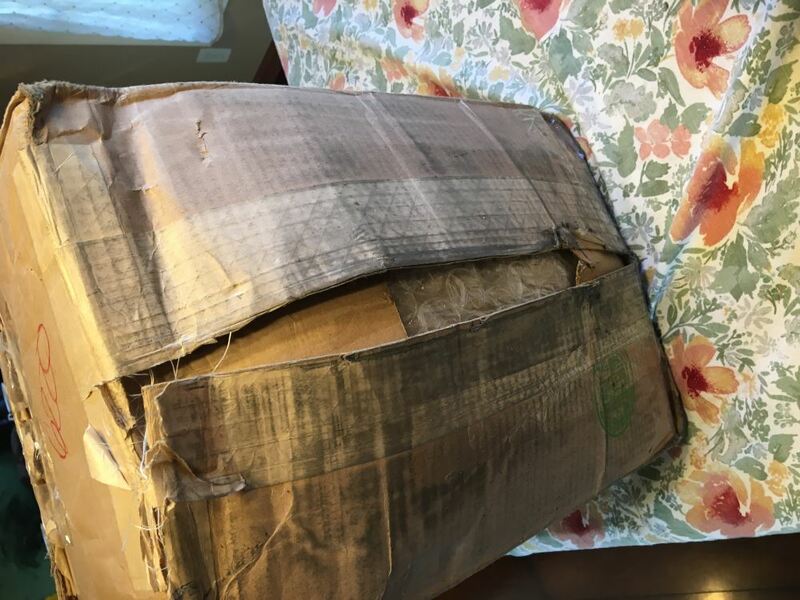 We have had our convert a ball hltch for over a year,and have pulled with it thousands of miles. It has worked well, with no problems at all. We have gotten more than our moneys worth. thanks. How do you plan on installing the 4 additional bolts? In the installation instructions Convert-A-Ball discusses the optional installation of additional bolts. However, these bolts are available only for the customer to contact the manfucturer, and are not sold individually. 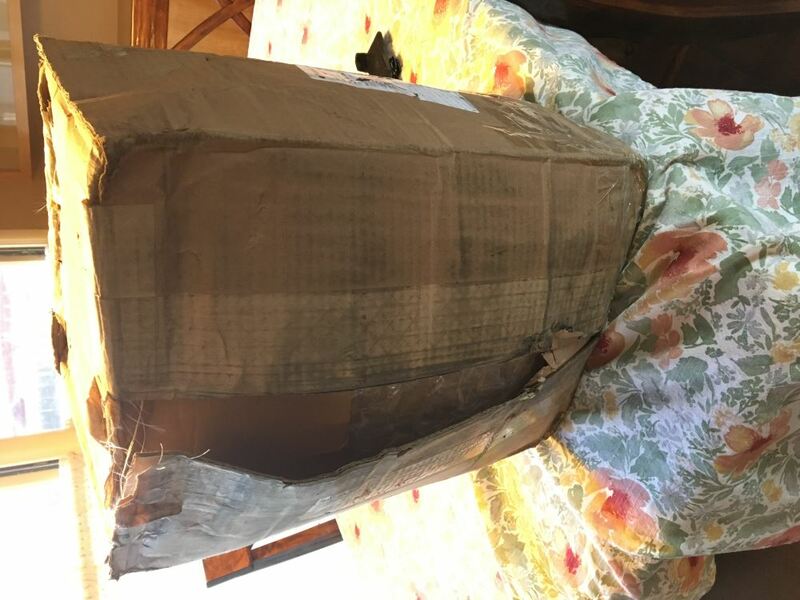 To gain access this is usually done by disassembling the pin box, or by drilling access holes in the plate, but this all depends on the configuration of your pin box, and if this adapter is intended to be a temporary or a permanent solution. Joe, what is the box length of your Ram? 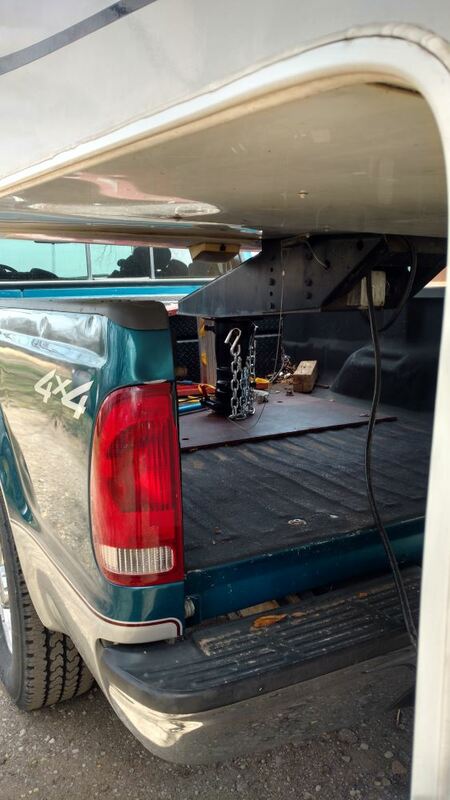 Raymond L.: My Ram is a 3500 4X4 SRW It has the 8Ft bed. 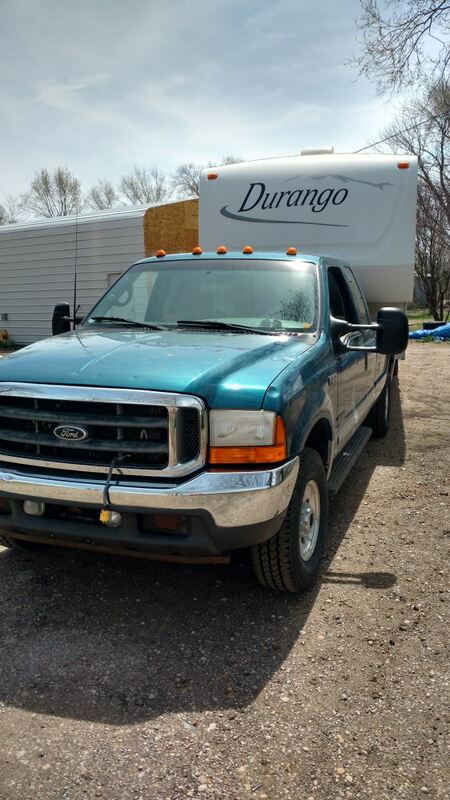 I pulled the same Toy Hauler with two different Quad Cab PUs over the years with 6-12 ft. beds. One 2WD and one 4X4 before this one. I ordered this P/U as a Std. Cab. It is set up like a Laramie inside. towing I get 10-13 MPG. Empty 22 MPG It tows at any speed I want in the Mountains. Danny I notice you have a morryde pin box on your trailer. 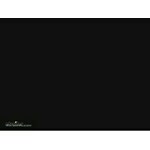 did you change the skid plate over to the morryde RPB77006 gooseneck adapter plate. to use this adapter? When I first received it I thought it would work out. But after using it for a couple of months, I had to remove it. The ride quality was terrible and the jerky ride while towing was unbearable. 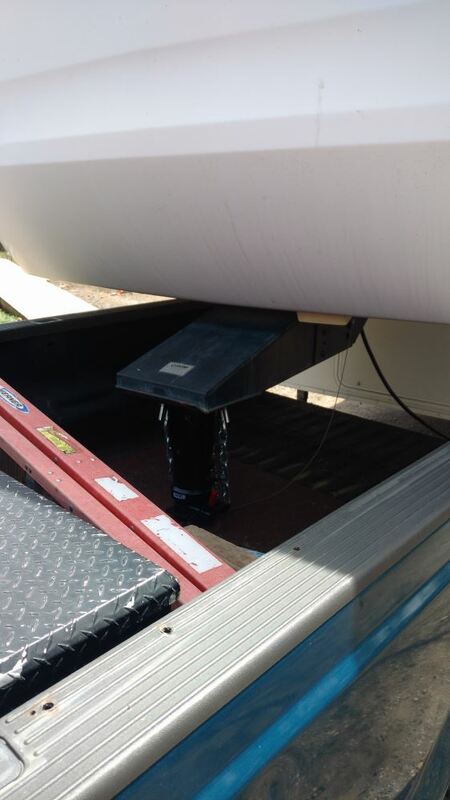 Plus the additional stress it put on the frame of my fifth wheel trailer over time would cause even more problems. So I removed it and installed a Curt fifth wheel hitch and now the ride is much better and smoother with no jerkiness. Would not recommend this adapter at all. Youd only need the offset if your truck was a short bed. The Curt hitch part # C60700 that you referenced is an aftermarket style gooseneck hitch for your 2017 Ford F-250. 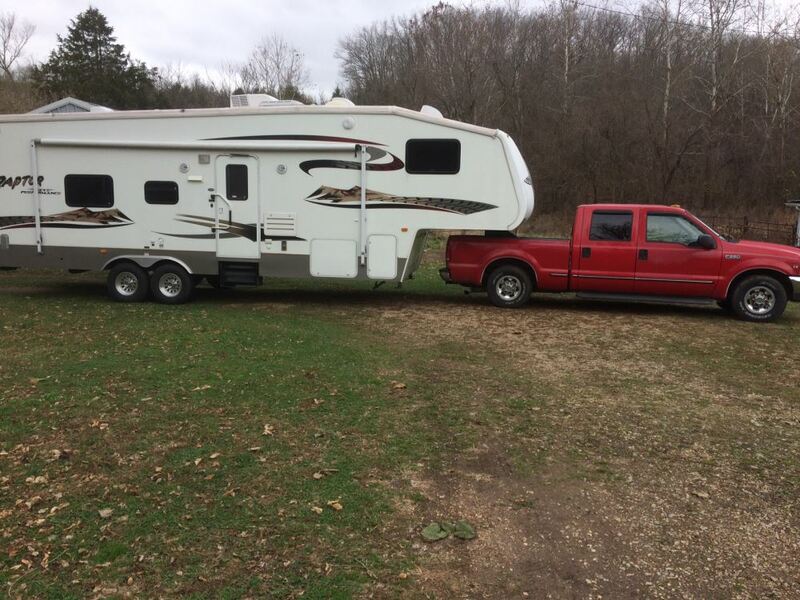 That means that your 2017 Ford F-250 you need an adapter like the part # CAB-C5G to tow a fifth wheel trailer. 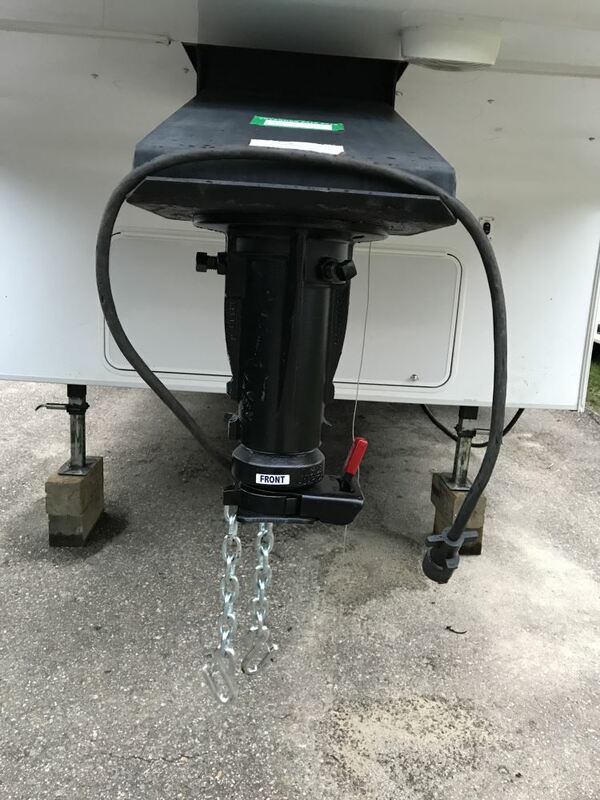 Sounds like you are using the Ranch Hitch part # AM3100 to convert a fifth wheel trailer to be towed by a goosneck hitch. This adapter is not cushioned at all. We do have the similar Convert a Ball part # CAB-C5G which is cushioned which would relieve some of the chucking you are experiencing. 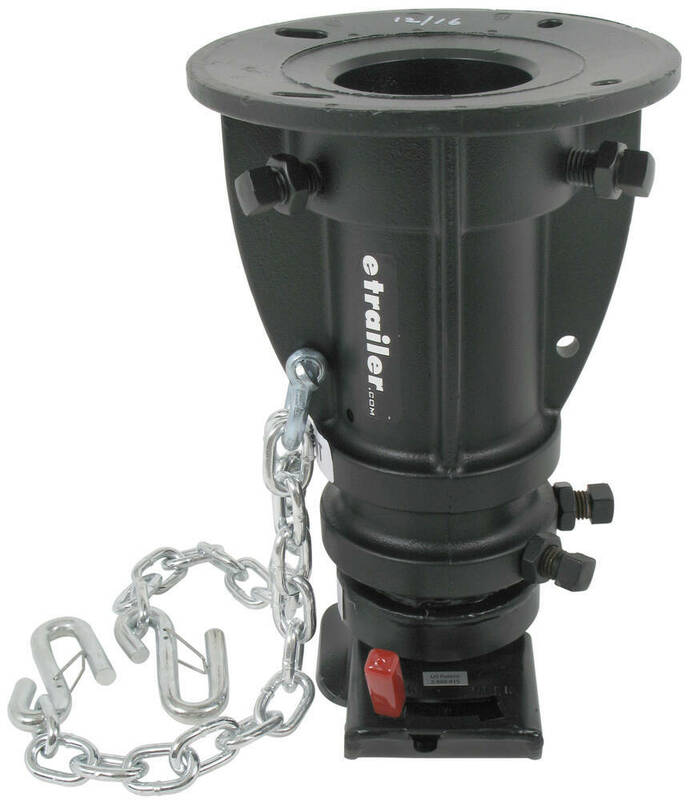 Or if you have a standard gooseneck coupler and hitch setup you could replace it with a cushioned gooseneck coupler part # CG. 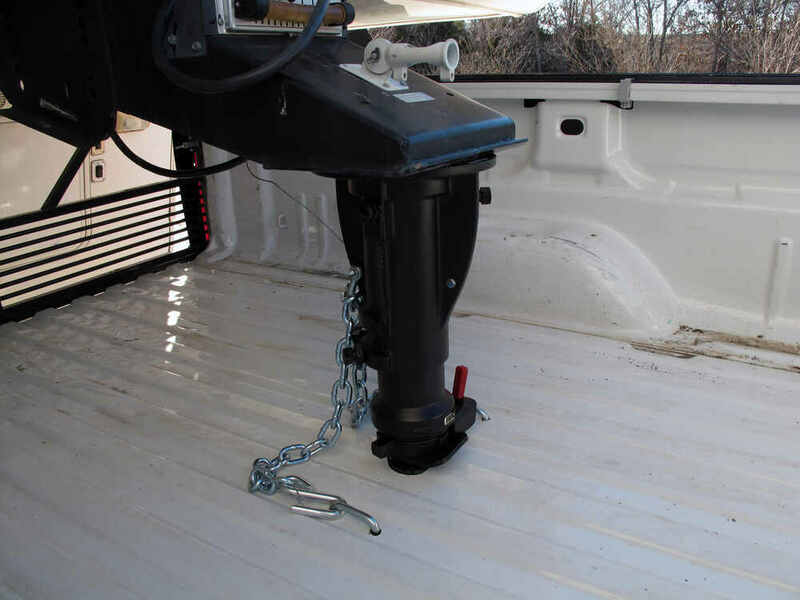 The Convert-A-Ball Cushioned 5th-Wheel-to-Gooseneck Adapter # CAB-C5G that you referenced is actually one of our most popular options for using a gooseneck hitch to pull a 5th wheel trailer. 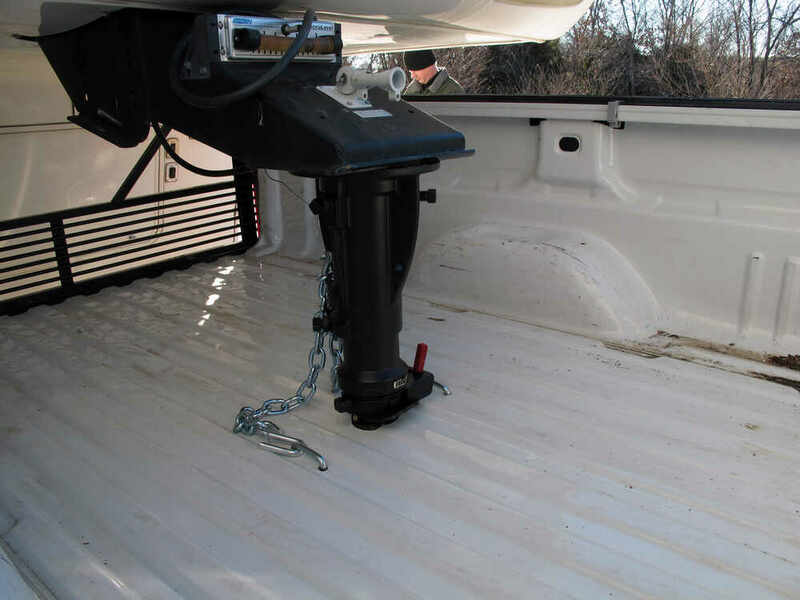 It has received great reviews and offers 12" to 16" of adjustment (measured from the top of the hitch ball) to help level your towing setup. I have attached an installation video for you to reference. 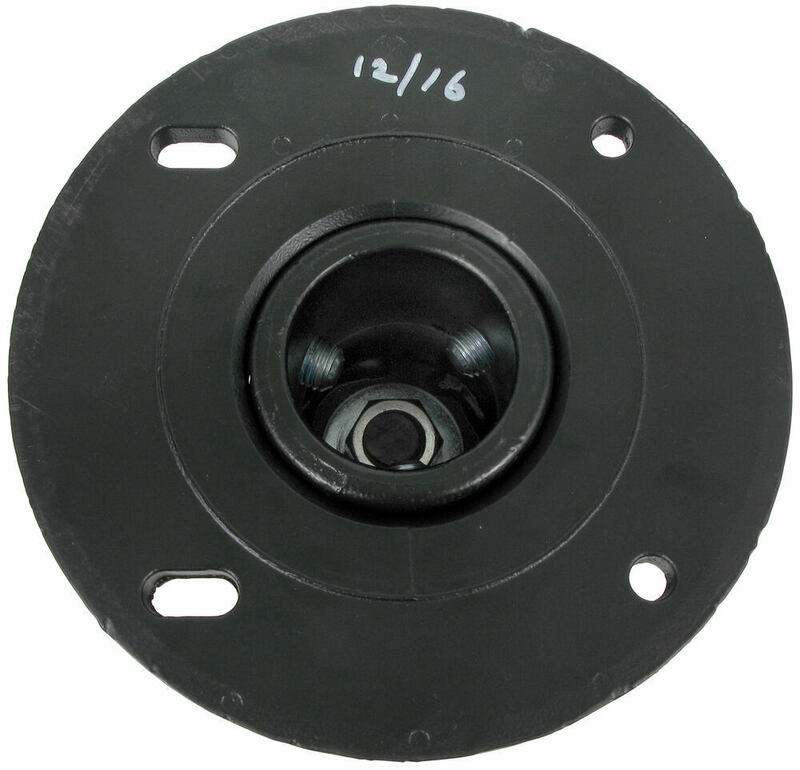 For the Convert-A-Ball Cushioned 5th-Wheel-to-Gooseneck Adapter # CAB-C5G and the Convert-A-Ball Cushioned 5th-Wheel-to-Gooseneck Adapter w/ Offset # CAB-C5GX1216 can be attached using the bolt holes. The bolt kit comes with the offset adapter but not the straight adapter. The instructions say no need for bolts on that adapter but will provide you with the hardware at no additional charge. I've attached the installation instruction photos to assist.